Some of my older home appliances, such as my washer, dryer, and kitchen appliances, aren’t working as efficiently as they used to. How do I determine when it’s time to replace an appliance? Broken appliances can be a headache. When your appliances stop working, most homeowners will kick the old appliance to the curb and purchase a shiny new replacement. But that isn’t always the best decision. Oftentimes, it’s more practical and cost efficient to repair rather than replace, should your appliance fit certain criteria. Consider repair cost, lifespan of the product, and what a brand-new appliance may cost. If the appliance breaks down past its average lifespan or the cost of repair would surpass half the price of a new one, it may be time for a replacement. To save time, money and trouble, here are some key factors to consider when you are deciding what to do with a defective appliance. Replace: If the washer no longer spins, you’re better off purchasing a new one. The process to repair this particular problem is lengthy and the replacement parts are expensive. Repair: If it’s leaking, if water isn’t properly draining, or if it’s just behaving a bit oddly. Washers having these problems are typically simple and affordable to fix. Replace: If you ever witness the dryer begin to smoke and it isn’t due to a clogged lint trap or vent hose, get rid of it. The repair costs would be high and the appliance is a fire risk. Repair: If it isn’t drying your clothes as quickly as it should, it isn’t spinning, or if it’s making odd sounds or smells. Other common problems can be associated with venting, which are easy to fix. Additional tip: Clean out your lint trap and vent hose regularly to keep your dryer healthy. 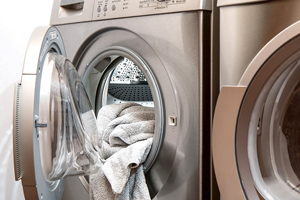 A clogged dryer can cause the motor to burn out quickly. Replace: If the compressor is broken. You can identify if the compressor is broken by listening to your fridge—it’s the device that provides that typical low-hum noise people often associate with their refrigerator. If you can’t hear that hum and the inside of your fridge and freezer are warming, it’s time to replace it. Repair: So long as the compressor isn’t the problem! Leaks, sealing, fan and coil problems, ice machine repairs, etc., are all relatively simple repairs. Replace: If the inside of the oven is rusting or the glass on the door is cracked. If rust gets in your food, it can make you extremely sick. Door replacements are hard to find and expensive. Repair: If burners won’t turn on, the oven won’t heat or self-clean, the oven door won’t close, or if the cooking temperatures are inaccurate. It’s the start of a new year and time to look at improving your home. The health of your appliances is a great place to start. 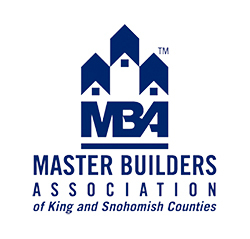 Jake Short is the Social Media Manager at Mike’s Handyman Service LLC and is a member of the Master Builders Association of King and Snohomish Counties (MBAKS).